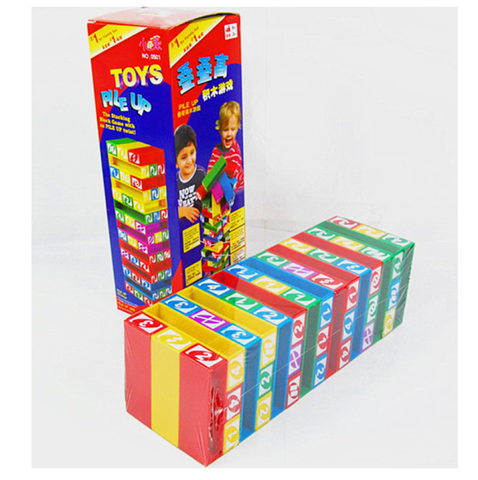 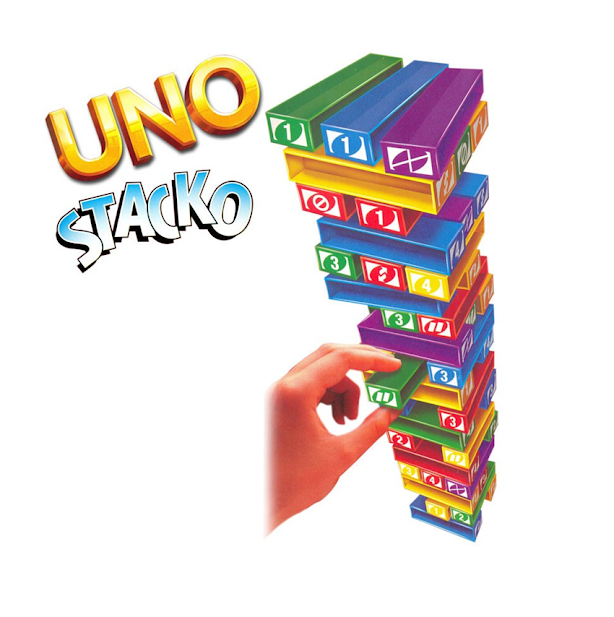 - Uno Stacko is based on the #1 brand of family games - Uno! 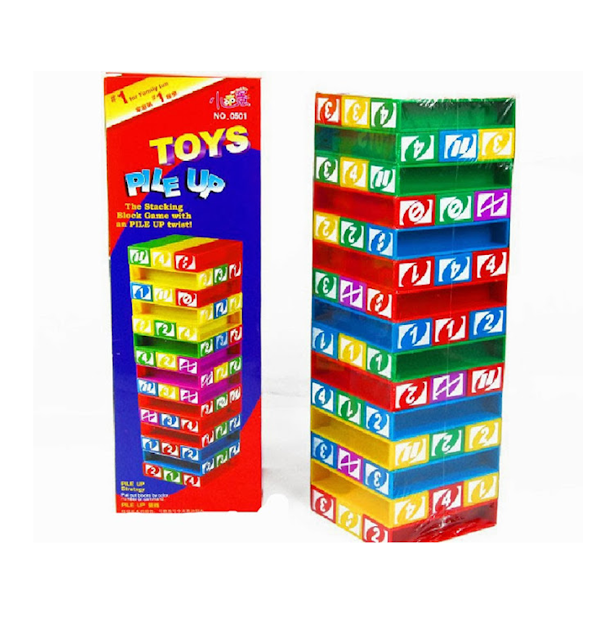 - It's easy to play and you'll have a roaring good time! 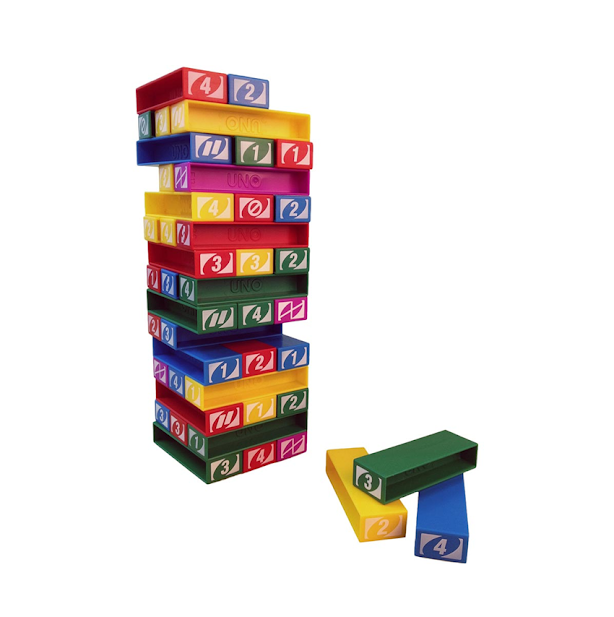 - This refreshed version is just like Uno, with commands on the tiles themselves that include wild, reverse draw 2.